Custom tests by our Friends of ESGI! 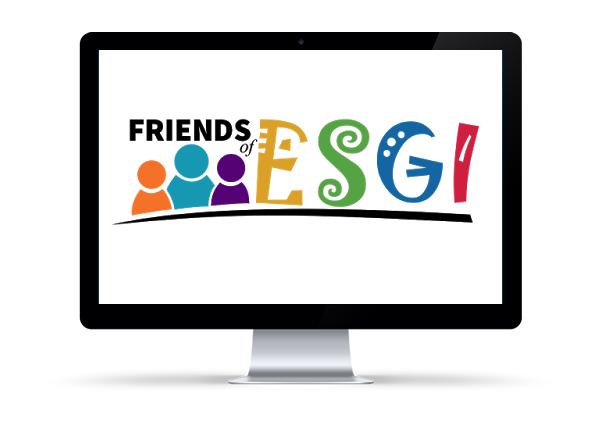 All of the custom assessments that you've been asking for are now available in digital format at no extra cost with your ESGI subscription! Build your tests the way you want them! 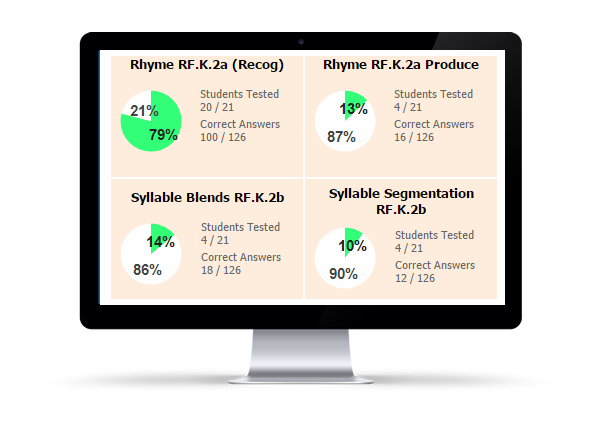 In addition to over 700 pre-built assessments, you can design and build your own custom tests specific to your students and curriculum. Quickly and easily transition any paper-based assessments you are currently using in to the ESGI system and start saving time and trees today! Work with your team to transition your paper assessments to ESGI! 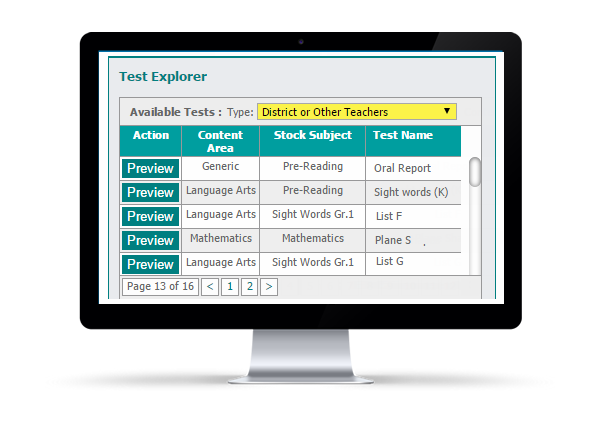 Once your paper assessments are in the ESGI online system, they can easily be shared with other teachers in your school or across the district. Every teacher deserves the opportunity to recover 400 hours per year, no matter what assessments you are required to administer! What's the least known letter in your class? Collect raw scores and track detailed student progress over time. Spreadsheets are functional, but visualization is vital! 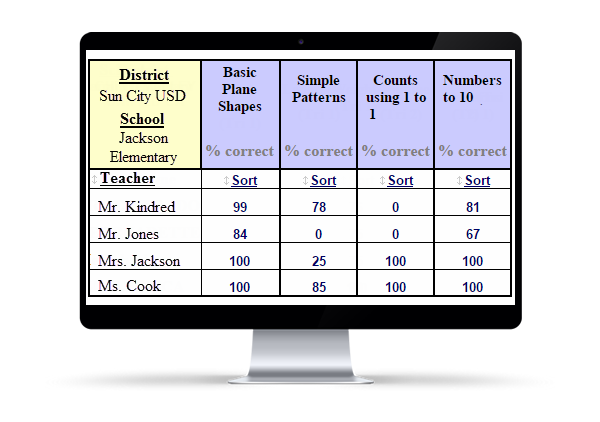 That's why we provide the data teachers and administrators need in easy - to - read charts, graphs and reports. We make it easy to demonstrate progress! Every parent wants to see their child make progress throughout the year. Utilizing our personalized parent letters, in both English and Spanish, you can quickly show parents just how far their child has come and provide them with resources to continue that momentum. Track Data for Your Whole Early Childhood Team! School and District Administrator reports provide real-time student performance data for the entire Early Childhood Team. Early childhood performance data can be exported and uploaded in to the districts' K-12 data-management systems in most cases. Using ESGI’s Pre-Assess accounts, Principals and APs make informed class placement decisions for incoming kindergarteners. Teachers spend more time teaching and less time assessing with ESGI. No more handwritten scheduling forms! 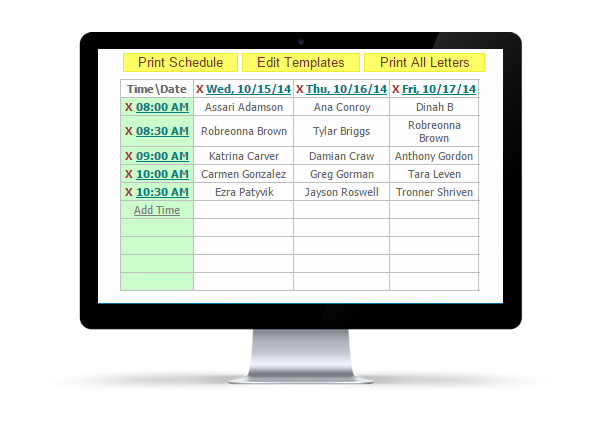 Use the simple template and the preloaded student names to quickly schedule parent conferences. 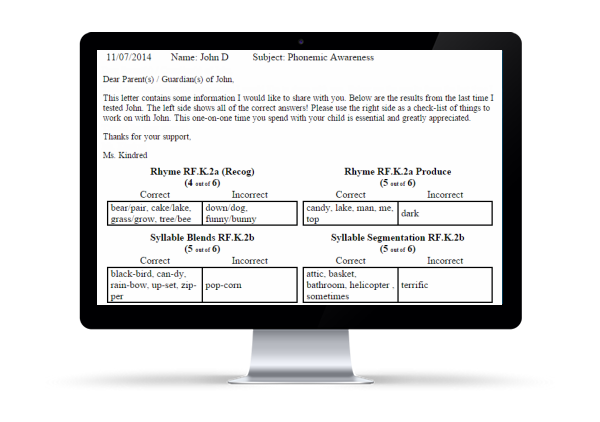 Automatically create personalized, professional-looking letters and reminders in either English or Spanish. Print or email these forms to parents throughout the year as needed, and support your administrative staff with your complete and accurate parent conference schedule.